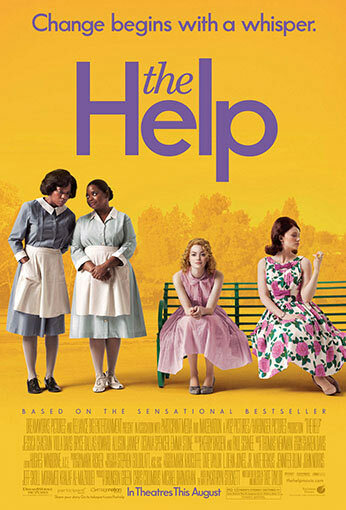 Based on one of the most talked about books in years and a #1 New York Times best-selling phenomenon, The Help stars Emma Stone (Easy A) as Skeeter, Academy Award® nominee Viola Davis (Doubt) as Aibileen and Octavia Spencer as Minnie—three very different, extraordinary women living in Mississippi in the 1960s, who forge an unlikely friendship around a secret writing project that breaks societal rules and puts them all at risk. From their improbable alliance a remarkable sisterhood emerges, instilling in all of them the courage to transcend the lines that define them and the realization that sometimes those lines are meant to be crossed—even if it means bringing everyone in town face-to-face with the changing times. Deeply moving, filled with poignancy, humor and hope, The Help is a timeless and universal story about the ability to create change.